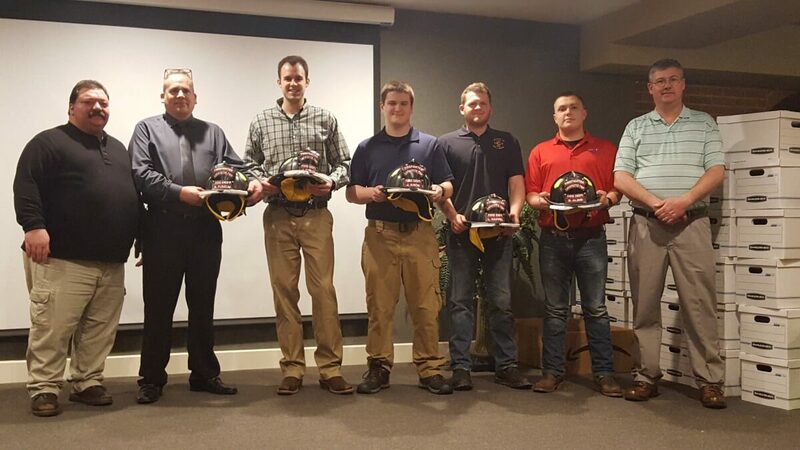 At the department’s annual awards banquet, five Probationary Firefighters were awarded Active Firefighter status. As Probationary Firefighters, they went through a rigorous 120-hour department required introduction training and 300-hour State Certified Firefighter 1 & 2 training that lasts approximately 6 months. We are very proud of these individuals and very grateful for their time and sacrifice they give to this community. They are invaluable assets to the department and the district. Each one of them has earned the Active Firefighter status and were not just given it. 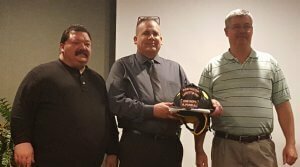 As part of this process, they were presented Black Helmets for their efforts. 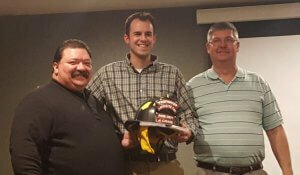 Brandon joined the fire department in 2014. When he is not working long hours at a local HVAC Contractor, he attends training and calls with the department. He is a hard worker and eager to learn and we enjoy having him here. Josh joined the department in 2016. He is currently in the accelerated program studying to become a Physician’s Assistant at Sullivan University. Josh usually brightens everyone’s day at the firehouse. He is an invaluable asset in many ways at the fire department. Lucas “Happy” joined the department in 2014. 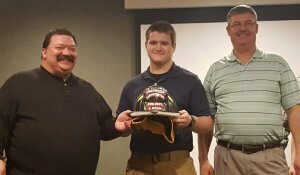 Lucas began his training in the Firefighter/EMT program at the Prosser Career & Education Center. He is a quiet individual but a hard worker. You will hardly ever see a frown on his face. We are glad he is on the department and serving the community. Joe joined the department in 2016. Joe began his training in the Firefighter/EMT program at the Prosser Career & Education Center. 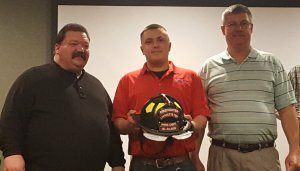 Joe is a fourth-generation firefighter and on the fast track to becoming a great firefighter in the fire service that he is passionate about. Rick joined the department in 2017. He is no stranger to the fire service. He was a Firefighter/Paramedic in another state for several years. 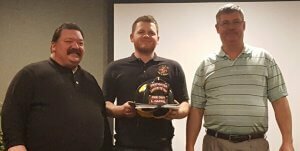 He quickly completed the 120-hour introduction training and obtained his reciprocity from the state for the firefighter 1/2 certification. We are pleased to have each one of these individuals on the department and serving the community. Their efforts do not go unnoticed and are greatly appreciated. Please take a minute and congratulate them on their accomplishment earning Active Firefighter Status.